Macho Star Gopichand is all set to tie the knot in February and the marriage alliance has been finalized by his family. The bride is Haritha, a Hyderabadi girl who did her engineering here and went on to complete her MBA in Australia. 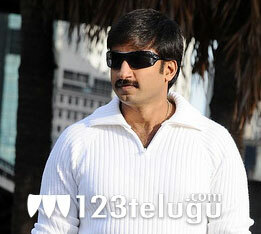 Gopichand joins NTR in the list of young stars with ‘arranged marriages’. Allu Arjun and Ram Charan Tej have committed themselves to their long term sweet hearts. The date of the engagement would be announced very soon. Haritha’s family runs a couple of very successful businesses in Hyderabad.They have no known connection to the film industry as per sources. Gopichand’s family has been in the film industry for a few decades now. 123telugu.com congratulates this macho star and wishes him the very best on this happy occasion.